I was tasked to do 15 looks with prints for magazine's online site and for the first outfit, I played around with big yet soft-colored floral prints. The pants with the peach top is a tad bit too sweet for me so what I did was to pair it with oxfords and a thrifted vest that has some lace & floral details to it. Still dainty but with some masculine touches! I am loving your pants, shoes, and bag! Love your jeans! And your vest, super steal !! Can I have a link of Thrifted? I LOVEE those pants and your shorts are so cute! I don't think I even own 15 floral printed things. Good luck with this. This is a lovely look. Those shows are amazing. I looked on the website but couldnt see them. you look amazing. 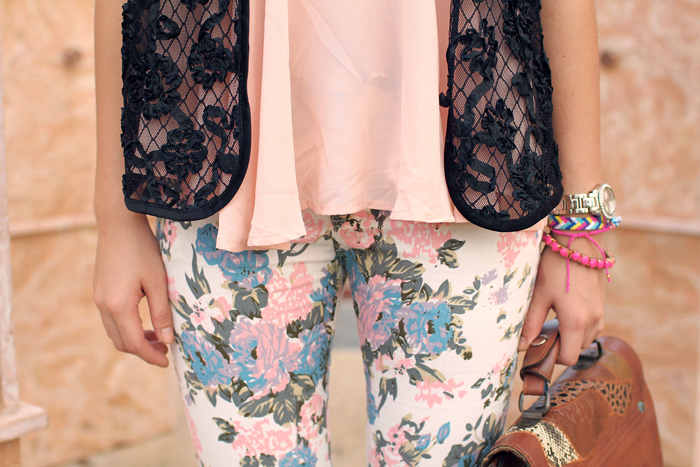 love those pants and the bag is to die for! You're so pretty! I love the photos! MAKE A MARK. BE LEGENDARY.